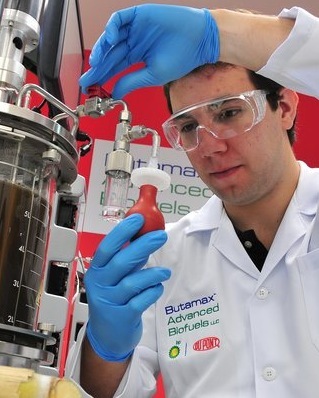 Several companies, including Butamax Advanced Biofuels, ajoint venture of BP and DuPont, have developed ways to make butanol the same way as ethanol, through yeast fermentation and distillation. Butamax CEO Paul Beckwith told Henry Fountain of The New York Times that making butanol that way should be attractive to ethanol producers because they won't have to adopt a new production method. He also said new butanol-specific plants could be built, including some that use switchgrass or other nonfood raw materials similar to cellulosic ethanol plants.